Submitted Photo On Nov. 10 the Silver Creek VFW Post 6472 Samuel Cimino hosted a Veterans Day dinner. State Senator Cathy Young joined the veterans for a very enjoyable dinner. Pictured are the organizers with Senator Young, MSgt (Ret.) Brian Schneider, USMC, (left) and 1SG (Ret.) Colin Anderson, USA (right). 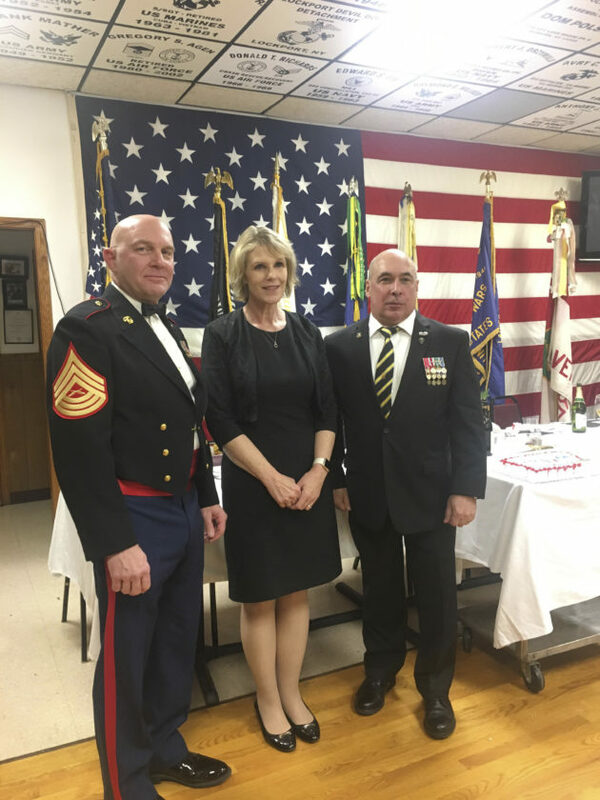 On Nov. 10 the Silver Creek VFW Post 6472 Samuel Cimino hosted a Veterans Day dinner. State Senator Cathy Young joined the veterans for a very enjoyable dinner. Pictured are the organizers with Senator Young, MSgt (Ret.) Brian Schneider, USMC, (left) and 1SG (Ret.) Colin Anderson, USA (right).